BGR International continues to work with Singapore volunteers to assist with the relief efforts after a devastating earthquake. 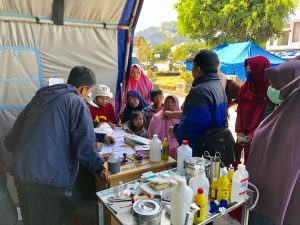 Volunteers from Singapore have been on the ground in Lombok since day one of the earthquakes. Teams are dealing with healthcare, clean water, trauma counseling, and general relief.